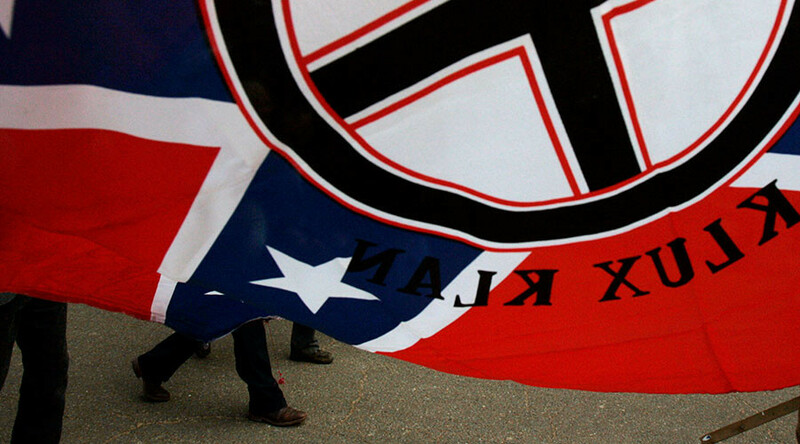 A group of high school students from Creston, Iowa has come come under fire after a photo of them dressed in Ku Klux Klan-like white hoods, holding a Confederate flag and with a burning cross behind them circulated online. The photo first appeared on Snapchat before being shared Wednesday. The students were identified as Creston Community High School students and members of the school football team. "This picture does not represent (Creston Community High School), our school system or our community," Principal Bill Messerole said 13WHOTV reports. "We are proud of how our students and staff conducted themselves today after the picture became public. It is of the utmost importance that our students feel safe and welcomed in our district." The names of the students have not been released and the school declined to say what punishment they received. The Omaha Herald reports the students got a nine day suspension. The Creston Police Department said it was aware of the photo but is not involved in an investigation.